Where there's a will, there's a way... to make an expensive drafting error. Are you completely current with best practices when drafting a client's will in Alabama? If your practice touches on will or estate planning issues, you'll want to set aside one hour for an informative on-demand webinar on fundamental dos and don'ts. Your presenter will walk you through the will drafting process, beginning with collecting the necessary information from the client. Then you'll benefit from a review of the statutory requirements which apply in Alabama so that you can make sure the will you draft is not subject to attack. You'll learn the methods of designating fiduciaries who will be responsible for carrying out the testator’s wishes. And because flexibility is so important, you'll gain insights into building it into the will. The presenter will also explain what clauses need to be included to protect minors, incompetent persons, or beneficiaries with special needs. Finally, you'll get practical pointers and sample forms to make will drafting easier. The statutory ABCs: What is required? Disinheritance and no contest clauses – will they stand? Fundamental Principles of Will Drafting in Alabama — is just $107. 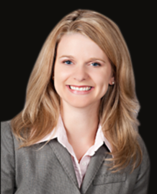 Shannon Dye, with Carney Dye, LLC in the Birmingham area, handles all types of estate planning, including: Wills, Trusts, Special Needs Trusts, and Powers of Attorney, as well as business planning needs. In law school, she served as the student materials editor for the American Journal of Trial Advocacy and was a member of the Cumberland Honor Court and Trial Board. Ms. Dye also served as a Caruthers Fellow and was the research associate for Professor David Smolin.